What started out as a small corner of Sear Steakhouse, Angie’s has expanded to become a full-fledged restaurant. 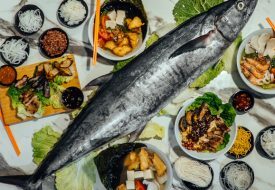 Instead of just serving cold seafood platters, they now share a kitchen with Sear, creating hot and tasty seafood dishes of their own. Choose to dine outdoors to enjoy a gentle breeze while overlooking Marina Bay or head inside to Asia’s first Lervig Tasting Room. 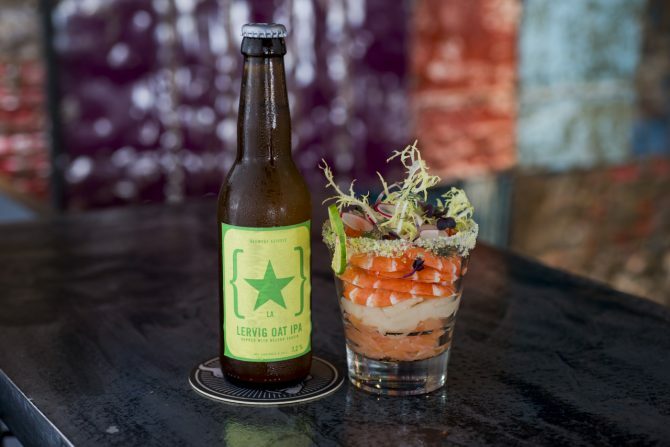 Angie’s is the only place in Singapore where you can have eight different types of Lervig beers on tap, making it an excellent spot for after work drinks away from the regular bar crowd below. 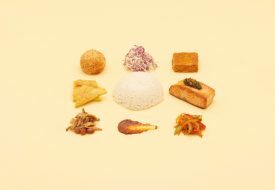 Here are four dishes you must order when you dine at Angie’s. At Angie’s the oysters change according to what’s in season but be assured that they only serve the best. Currently, they have New Zealand Pacific, Fin de Claire Speciale and Coffin Bay oysters available. They run an oyster happy hour promotion where they oysters are just $1 each from 6pm t0 8pm daily. 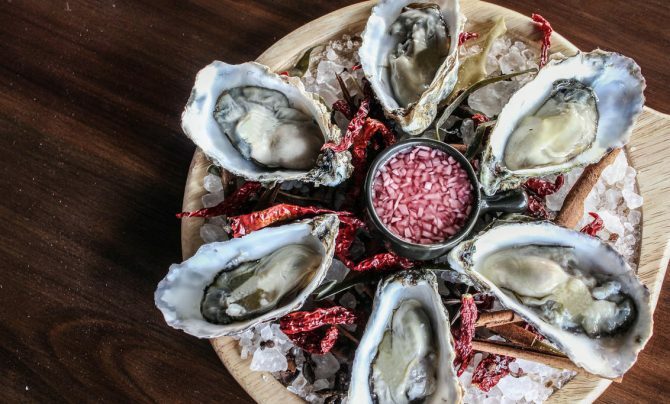 No minimum spend is required but oysters are while stocks last. One of the best dishes on the menu is a simple trio of raw diver scallops, shrimps and lightly smoked salmon tossed in an acidic lime vinaigrette. 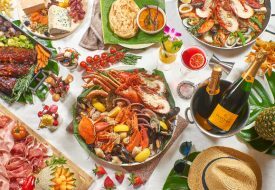 The seafood is said to be marinated three ways, imparting flavour that deeply penetrates the small cubes of meat. The light, zesty flavours are a refreshing start to any meal. This dish goes the best with the Norwegian Lervig Brewer’s Reserve Oat IPA 7.2%, a pale ale with fruity notes like grapes, passion fruit and lychee. Healthy rice bowls seem to be the trend these days, especially among the working crowd at Raffles Place. Angie’s cobb salad rice bowl goes luxe instead. 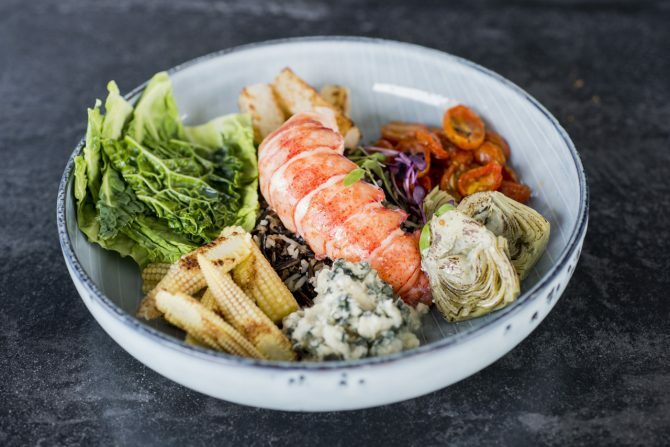 Constructed with wild Californian black rice, a medly of vegetables, Kikorangi blue cheese and a perfectly cooked lobster tail, the individual components are bursting with punchy flavour no matter which combination you choose to scoop up with your spoon. Served with free flow fries, grab a pot of Angie’s signature mussels to share or have a plate all to yourself. 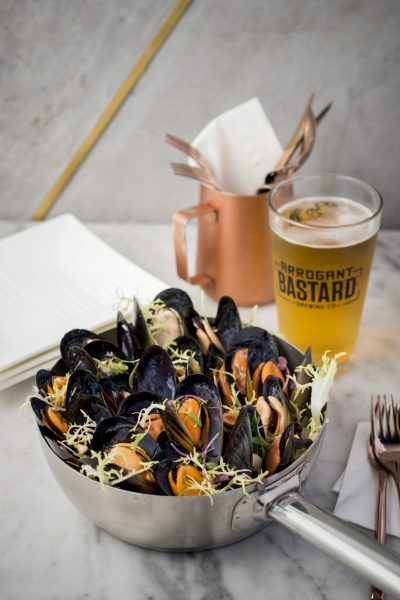 We love how affordable the mussels are because Angie’s uses Singaporean farmed mussels and passes on the savings to the consumers. If I was not told that the mussels were from Singapore, they could have easily passed off as mussels from Brussels or Barcelona with their plump yet delicate flesh. However, some tweaks still need to be made to the sauces as it was a little too salty for my taste in combination with the already naturally salty mussels. Angie’s. 50 Raffles Place, Singapore Land Tower, Level 45, Singapore 048623. Tel: 6221 9555.